Watch Tony Horton in this video Review Shakeology Ingredients at the checkout lane. This video gives you a review of the ingredient list in shakeology. 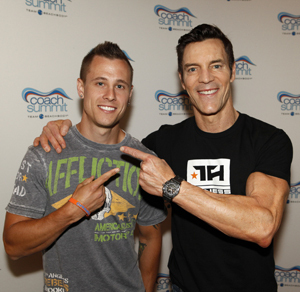 Tony Horton the P90X master, is hilarious in this video! But with all jokes aside, it’s all true. Just imagine…lets say you knew all about the ingredients used in Shakeology, and you had a full understanding of their health benefits. It would still cost you a small fortune to get all it. Not to mention, the amount of time it would take to be able to prepare it all and consume it all. I wouldn’t happen. What Shakeology has done for me. Well for starters it helps me keep my cravings down for foods that aren’t healthy. I honestly can tell a huge difference in how I feel. I’ll never forget what my coach told me when I was thinking about getting it. I was complaining about how much it cost. When I should have been looking at it as a “cost-per-day” since its replacing a meal and thats only $4 a day. Pretty cheap when you look at it that way. So I was told how great I would feel and honestly I thought, yeah right, you’re just trying to sale me something. My coach said, “ok well its backed by an empty bag money back guarantee, so its totally risk free. He said drink it for a month and then just stop for a week and see the difference.” It was literally a difference of night and day. I could instantly tell how my energy levels were up during my workouts. My digestion was very good and I just felt better. When I stopped. My energy seemed to drop. My digestion was good, but I could definitely tell it wasn’t as good when I was drinking it. So long story short, I’ve drank Shakeology ever since. Going on almost 2 years now. Its funny too, my 3 year old son likes it. Of course I give him a small dose, but Im glad he likes it. I know its extremely healthy for him and that makes me happy. Anyone who has kids knows how hard it is to get your kids to eat veggies or anything healthy for that matter. Its been a life saver for me, my wife (who also loves it and got great results drinking it and doing P90X) and my son! I would strongly recommend it. Give your body the best! Don’t cheap out on your health! We need it to survive! Your body is craving Shakeology. It loves it! Right now as your sitting there reading each word, your blood is asking for Shakeology. Now I know your sitting there saying to yourself, OK this guy is a trip, I’ve never even had Shakeology before so how is my body craving it? Well that might be true, you may not have ever had shakeology a day in your life but, you’ve probably had some of the whole foods that make up shakeology and your body know’s without your mind knowing that it’ll love Shakeology. There are over 70 different ingredients in shakeology. Mostly whole foods. You know the natural stuff. Its an ultra-premium nutritional shake. To create it, Shakeology’s Co-Founder Drarin Olien searched the world (literally) for the most potent ingredients that your body can easily absorb and utilize. Its really a perfect combination of enzymes, prebiotics, antioxidants, and a lot of other rare ingredients – like adaptogens, Camu-Camu, and sacha inchi – give you the essential diet. Even eating the recommended serving of fruits and vegetables every day won’t give you this much nutrition. No other shake, meal or vitamin can do that! Its also comes in a Vegan Blend which is nice as well! Shakeology is a food that you can easily digest. Your body knows what to do with it. Unlike the famous Cheese Burger from you favorite fast food joint! There a no fillers or additives in it. If your body is getting the foods and vitamins that it knows how to break down then guess what? It does it job of breaking them down. Easier digestion leads to a cleaner digestives system. Thus weightless occurs. 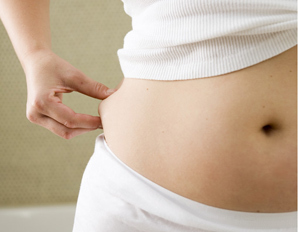 Did you know that the average person has 20 or more pounds of excess waist built up in their digestive system? Shakeology helps to fix that, and with everyday use it wont happen anymore. Are You Struggle with Weight loss? Have you tried a lot of weight loss pills, drinks or diets, to find that they didn’t work, you were going broke trying to buy them or it just didn’t fit into your lifestyle? Then I let me tell you about the easiest solution there is. Try the one method thats proven to give you healthy results. All you have to do is replace one meal a day with Shakeology. As soon as the first week, you’ll notice you have more energy, fewer cravings, and better digestion. Each low-calorie serving also helps keep you feeling full and satisfied between meals. Reduce risk for diseases, including heart disease. † Ub a 90-day study, participants replaced one meal per day with Shakeology, ate a balanced diet and exercised moderately three times per week. Total cholesterol was reduced on average by 30% and LDL cholesterol was reduced on average by 38%. Proven results with a regular exercise routine and balanced diet. 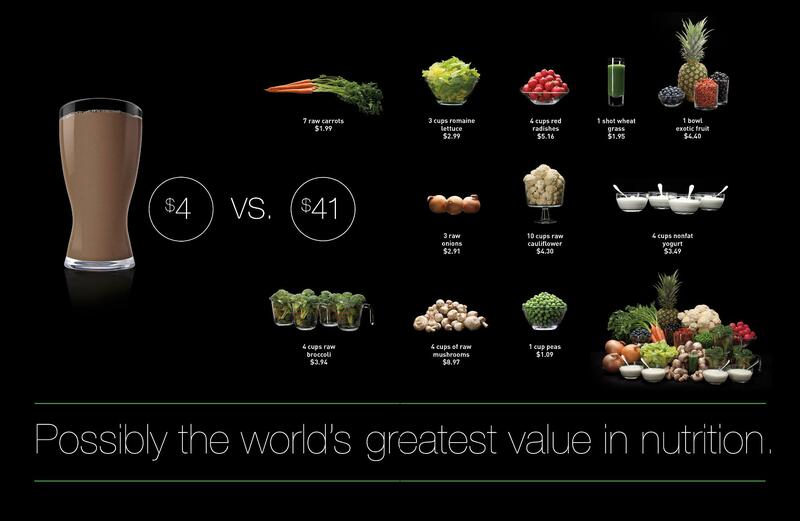 Are you ready to add Shakeology to your everyday life? Do I recommend it! Shakeology cost $4 a day. Thats it. 4 bucks. Thats probably less than what you spend on any meal throughout the day. If you decide to become a Club Member when you sign up, you save 10% on Shakeology, so it comes out to be less than $4 a day. If you decide to become a coach, you have the opportunity to share this amazing shake with others and earn a some extra cash, plus save 25%. Be sure to get shakeology on HD (home direct) so you get free shipping. If not your gonna pay almost $12-$15 in shipping. If your interested in becoming a coach lets talk today! Don’t wait! So what are you waiting for? Get Shakeology now and start living a healthier life! Learn more about becoming a Coach. I need to lose some weight and I need to do it fast! How to Lose Weight Fast with Beachbody’s Ultimate Reset? Is there a way? Is it Healthy? There are so many companies that will tell you that there product is the best or maybe a co-worker or friend will say; I have this great diet that’s cheap and works fast. Who should you believe? I’m sure your like most everyone in the world who doesn’t want to waste their hard earned money on something that isn’t going to do what its sellers say it is. I think that theres 1 question you need to ask yourself…what is it that you really want to do? When people pose the question, how can I lose weight fast, I usually ask them why they want or need to lose the weight. The most common answer is I think Im fat and I can’t fit into my cloths anymore. Some say to get ready for a vacation or they have developed health problems and their doctors are telling them they need to lose weight. Some say my spouse doesn’t look at me the same way anymore or I saw my spouse looking at me the other day with a disgusted look on their face. With my experience I can tell you what I think the answer should be. I think it should be for your health and well being. So is there really ways to lose weight fast? YES. Are they healthy? DEPENDS. I know there are tons of products out that say you can lose inches in hours, but lets be real people. That isn’t healthy. Is it worth it to you to put your health in danger just to lose 10lbs or some inches in just a few days? NO. Some might say its worth it, but I bet if you woke up with an IV stuck in your arm and you were in a hospital bed you’d probably take those words back! If you plan on going out to eat choose healthy options, you can use this shared tip calculator to determine how much of a tip to leave for your waitress. SO WHAT CAN I DO TO LOSE WEIGHT IN SHORT PERIOD OF TIME? So you might ask; How is the Beachbody Ultimate Reset different from other cleanse programs? The Ultimate Reset isn’t a crash diet or a synthetic meal replacement. It’s an integrated, whole-body reset solution—a step-by-step program that lets you have real food, provides specially formulated supplements, and teaches you conscious living techniques that work to detoxify and restore your body. You’ll not only help return your metabolism to optimal function, but you’ll learn conscious self-care behaviors that can help you maintain better health, even after your Reset. This works people. It makes you feel good again! Its healthy and I’ll tell you this, you can’t put a price on being HEALTHY! Let me remind you of what I said above. When you do these fly-by-night diets and other cleanses, your basically ripping your body apart. Because let be real people, your body needs certain nutrients everyday. So if you think you can eat crackers and tuna everyday for 3 weeks and your body isn’t gonna suffer then your crazy! Don’t end up sick and in the hospital just because you found a cheap diet that you really don’t know if it would even work! COMMIT TO YOURSELF AND YOUR HEALTH! With the small investment of the 21 Day Reset, you’ll not only take back control of your health and life, but you’ll be a better more educated you once your 21 days are over. Some people have even came out stronger and your not allowed to workout when your doing it! You’ll know how to prep your food, how to cook your food and how to shop for healthy foods. You won’t just be better for you, you’ll be better for your family! YES your family will benefit from you sharing your knowledge of healthy foods and eating habits! Because this isn’t a diet you’ll be ready to tackle your new lifestyle head on! You can add in a fitness program and your success in your health and fitness will just continue to grow. Diets don’t work because once your done, you usually go back to your old ways and those old ways are what made you need a diet to begin with. That’s why Beachbody doesn’t offer a diet plan, we offer Lifestyles and you get support 24/7 from me your Beachbody Coach…this is the best part…FOR FREE! Thats right, Im there for you around the clock to help you achieve your goals! So don’t wait any longer! Take back control of your life. If you want to know how to lose weight fast, then do the 21 Day Reset and let your body do what its supposed to naturally do! Stop waiting get the 21 Day Reset now! 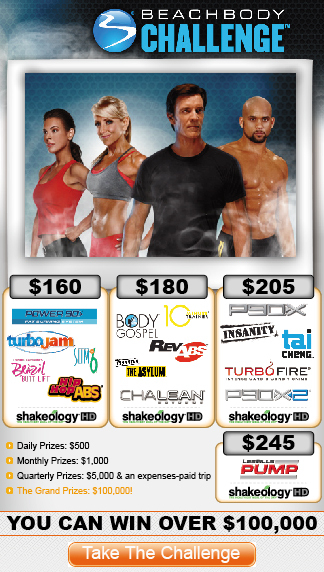 Ok here is the information on the three day Shakeology cleanse. It is not a traditional cleanse since a traditional cleanse contains very few calories and nutrients. The Shakeology cleanse is a calorie restricted nutrient dense eating plan that lasts for 3 days. The Shakeology Cleanse should not be used for longer than 3 days OR in the middle of you workout program. You can do a Shakeology Cleanse either on your recovery week or prior to starting your new fitness program. 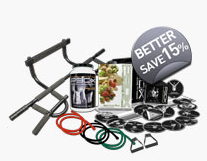 The goal here is not to lose weight even though it will probably occur but to get your body running more efficiently. You will be eating (drinking) frequently and consuming between 800 -1200 calories a day. The goal is to get the most nutrient dense calories you can, rid your body of unwanted toxins and undigested foods and bring your hydration levels into homeostasis. Even though your calories will be low your your nutrients will be high. Ingredients for dinner salad- Greens and veggies. Shakeology comes with 24 servings in the individual packs or 30 servings in the bag. You should still use Shakeology once a day after your cleanse to replace a meal or in addition to a meal. Start your day with a cup of green tea. Lunch: Shakeology- water and ice only followed by a cup of green tea. How many calories will I be getting in a single day? Should I still do my workouts during the Shakeology Cleanse? It will be different for everyone. I suggest only light to moderate exercise. Could I do a 1-day or 2-day cleanse instead of 3-days? Is it ok to take other supplements during the Shakeology Cleanse? If you’re feeling tired and sluggish, give yourself a comprehensive inner-body tune-up. In just 21 days, the Ultimate Reset™ can help you gently restore your body to its optimal “factory settings,” to help you have more energy and greater focus, enjoy better digestion, lose weight, and reclaim your overall health. 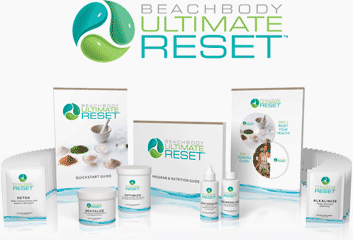 What is the Beachbody Ultimate Reset? Our environment has become more and more toxic. Our bodies absorb pollution and harmful chemicals all our lives, along with the air we breathe, the food we eat, and the water we drink. These toxins can get stored in our bodies, clogging our cells and slowing down their natural functions. It’s not enough just to work out and eat right. You have to take a break from the everyday and find a way to get those toxins out of our bodies. Along with getting in shape on the outside, you have to start getting healthy on the inside. So now its time for a Reset. Reclaim your body’s natural balance. Release the harmful materials you may be storing within you. Restore your system to its maximum health. A laxative-based, colon-focused cleanse, which fails to truly detoxify the whole body. Alkalinize – Helps maintain alkalinity. Oxygenize – Helps provide supplemental oxygen to the body. Mineralize – Adds natural minerals needed by the body. Detox – Helps remove toxins and waste in the colon. Revitalize – Helps revitalize flora in the digestive tract. Optimize – Promotes healthy metabolism and effective body functions. I you are ready to transform your body with the Beachbody 21 Day Ultimate Reset then just click on the link below to get started. The Ultimate Reset isn’t a crash diet or a synthetic meal replacement. It’s an integrated, whole-body reset solution — a step-by-step program that lets you have real food, provides specially formulated supplements, and teaches you conscious living techniques that work to detoxify and restore your body. You’ll not only help return your metabolism to optimal function, but you’ll learn conscious self-care behaviors that can help you maintain better health, even after your Reset.